Globe Packaging offers great solutions for protecting your pallets from water damage, while maintaining a great presentational look. 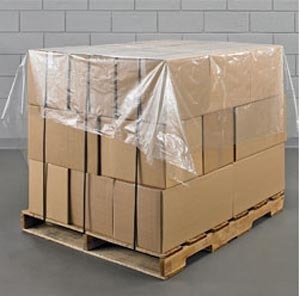 These polythene pallet protector covers are supplied in rolls of 500 covers, and are excellent quality. They will prevent water and dust from entering the top of your pallets.